You’re all far too nerdy! Put those makeup brushes down and go get some fresh air! 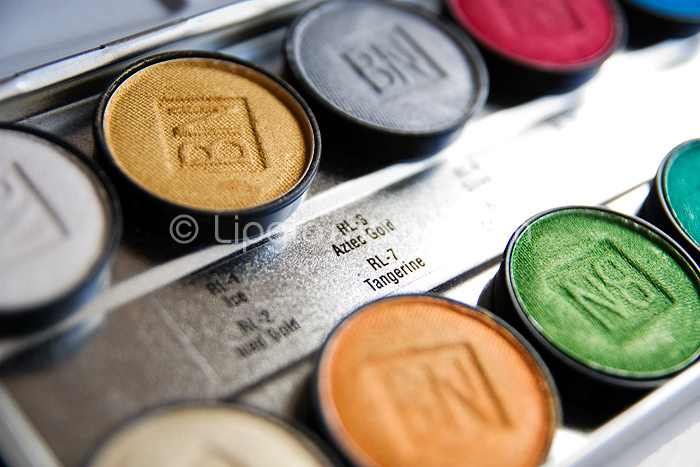 Well done to Nina who correctly guessed Ben Nye Lumiere Palette before anyone else. Nina, if you’d like to email me your address (you can email me from the “contact” page) I’ll get a little prize in the post to you asap. Oh dear… I hope confusion isn’t reigning too much but…. perhaps I should make it extra clear that the prize isn’t the Ben Nye palette itself… ‘cos a). It’s second hand and b). it’s mine! Thanks Charlotte! I just sent you an email. @Lizzard – As many excuses as we can fit in, we will!